Every lift irrespective of the environment in which its installed, at some time during its life will become worn and unreliable. However, lifts don’t always need fully modernising or replacing to address atheistic and reliability issues. So, when it comes to looking after older lifts, often the most viable solution to address reliability is to undertake a partial refurbishment or modernisation. Whatever your choice, Southern Counties Lift Services will work with you to discover the site specific needs associated with your lift and plan how best to undertake any modernisation work should it require taking the lift out of service for any extended period of time. 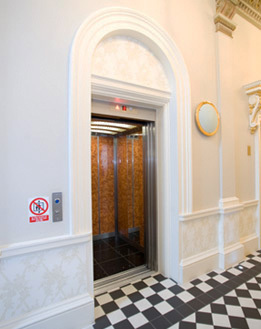 The Modernisation Team work closely with our clients to help lower disruption within an occupied building, particularly one where there is only one lift.